refers to Japanese women who followed Westernized fashions and lifestyles in the 1920s. This term was revitalized in Yulia's S/S18 collection which was appropriately presented in a historic western-styled building founded in 1927. 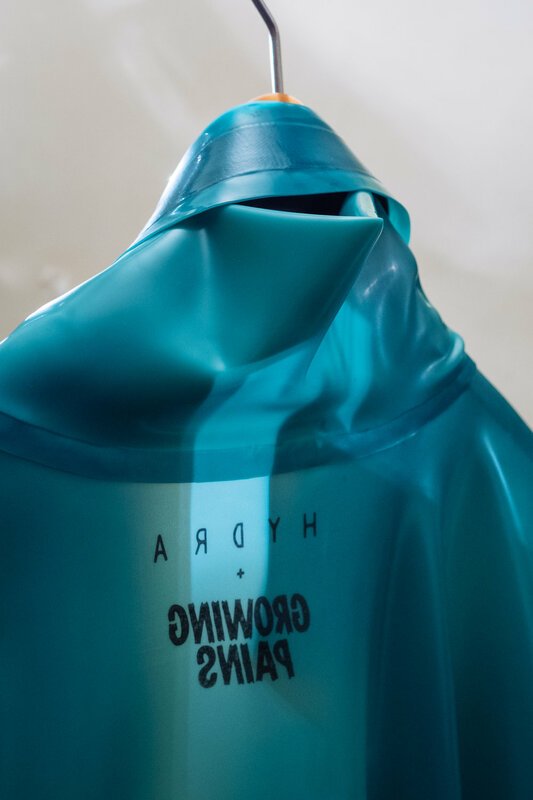 The first look of the show unveiled the artisanal, limited edition HYDRA Sartorial Latex coat in an exclusive colour produced for Growing Pain's S/S18. 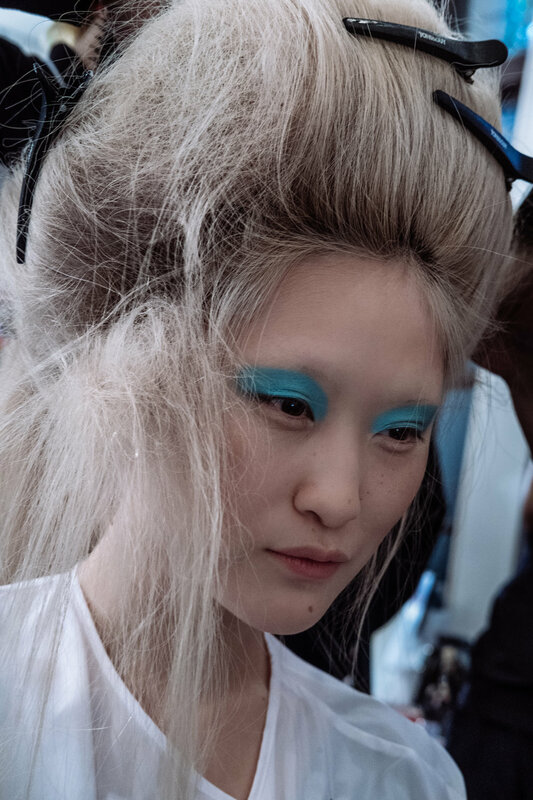 We captured candid moments and meetings with the designer before Yulia revealed her playful world where modernity rules.